I’ve worked with Chris Fry in various capacities over the past 10 years on the Engineering teams of two great companies: Salesforce.com and Twitter. I’m excited that our professional relationship continues at Bigcommerce with Chris in his advisory role. Chris is an authentic leader who understands technology, but fully embraces the human aspect of managing people. I learned a lot in the past decade working with Chris. 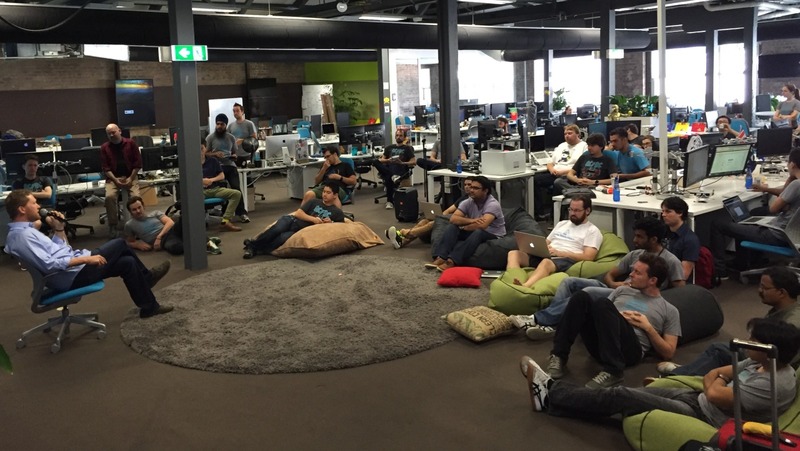 So I was thrilled to have him visit the Bigcommerce Sydney office this week to spend time with the team. The Sydney team gathered around Chris for an informal discussion, and the San Francisco contingent joined via videoconference. The topics discussed were far-reaching: practicing agile software development, building high-performance teams, decomposing an app into services, and coordinating a geographically distributed team. I speak with Chris on a regular basis for his counsel; our conversations often gravitate towards these themes. We recorded the entire 45-minute session and posted to our YouTube channel. You can view the recording in its entirety here: Q&A with Chris Fry in Sydney. Chris has achieved more over the past 10 years than most people do in their entire careers. Chris led the Agile transformation at Salesforce.com, removed the “Fail Whale” from Twitter, and is considered an expert at leading organizations at scale. One of the many things I’ve learned from Chris is the importance of nurturing and developing teams. 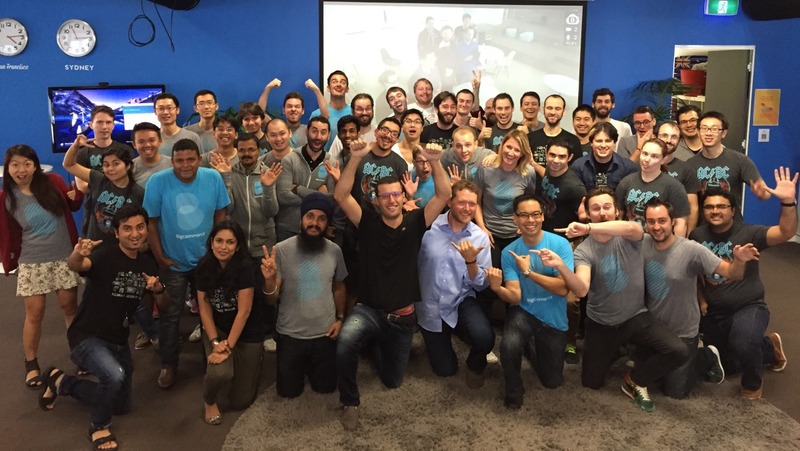 During our tenure together at Twitter, we established Twitter University to bring continuous education to Twitter engineers and the broader community. I plan to extend this effort at Bigcommerce; we’ll regularly host meetups and talks to foster knowledge sharing among local technologists. My affiliation with Chris is the longest and most rewarding work relationship of my career; I’m happy that it will continue at Bigcommerce. While in Sydney, Chris and I reminisced about events of the past — we accomplished a lot together over the past decade. But I’m far more excited about what the future will bring.